Gather the information you need to proceed [Section 20]. Decide on a primary form of ongoing outpatient treatment [Section 14]. Decide on any additional treatment that could be helpful to the person and his/her family [Section 19]. The problem of choosing a primary form of care is discussed in Section 14. More on each modality is presented in the section on that form. 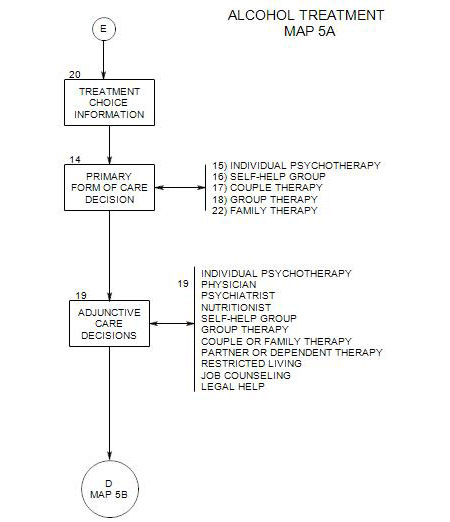 The overall process of early outpatient treatment is considered in Map 5A.